Why The Phone Battery Gets Exploded? Home Tech Articles Battery Issues Why The Phone Battery Gets Exploded? Many times you must have heard about the phone battery explosion that the person’s phone battery exploded when he was talking to someone or during listing songs. So, why the phone battery gets exploded and what are the major reasons behind this problem? In this tech article I will tell you why your phone battery gets exploded, so you can prevent yourself from the major accident in future. 1 Why The Phone Battery Gets Exploded? 1.1 What are the major reasons behind this problem? When the phone battery starts heating then due to the overheating problem, it happens. 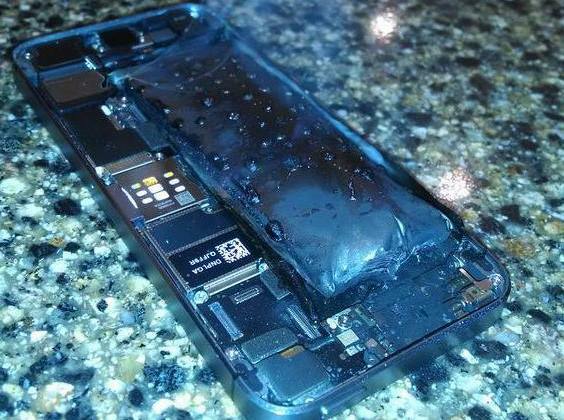 If you want to know why a phone gets overheated then read a complete guide on phone overheating from here. What are the major reasons behind this problem? Phone overheating is a major and primary reason but, there are other factors which cause this problem. So what are the other factors…? Avoid the heavy usage: Sometimes, we try to gain more work from the phone like: Talking Someone + Charging the phone + Downloading something using Wi-Fi. When we do these things for a long time then the device starts heating and due to the heating problem it explodes. Wrong way to use a smartphone: Another serious problem, we don’t use the smartphone in the right way or we don’t keep it in the right place. It has been found that some people hold the phone under the pillow and due to lack of air the phone battery starts heating up and gets blasted. Charging your phone with incompatible charger: It also happens when a person uses an incompatible charger like – low cost or multi-pin charger. Battery issue: Some people don’t prefer the branded batteries. Instead of branded battery, they buy an inexpensive or incompatible battery (manufactured by an unknown company), result – Phone Explosion. Internal Circuit Problem: If the internal circuit of a device is not okay, then there are maximum chances of phone battery explosion. But it happens very rare. So I will strictly recommend to the readers that please keep these 4 tips in mind (mentioned below) because these tips can save your precious life and you can also prevent the phone battery explosion. Always use the compatible charger. Prefer Branded Battery and also recommend others. Do not place your phone under the pillow. Don’t take the call, while charging. Firstly, disconnect the charging, and later attend the phone call. If you think, this post is valuable then don’t forget to share it on social sites! Next articleWhat Can You Do With The Phone’s Volume Buttons?